Garage sales are my favorite way to get rid of things we no longer need. However, there are many ways holding a garage sale can go wrong. How can you have the best sale possible? Is there a formula for this? Well, there is now! I present to you the Ultimate Guide to Holding a Garage Sale. Decluttering, as I mentioned, is probably the most common reason. Making extra money for your savings account comes into play for many people. 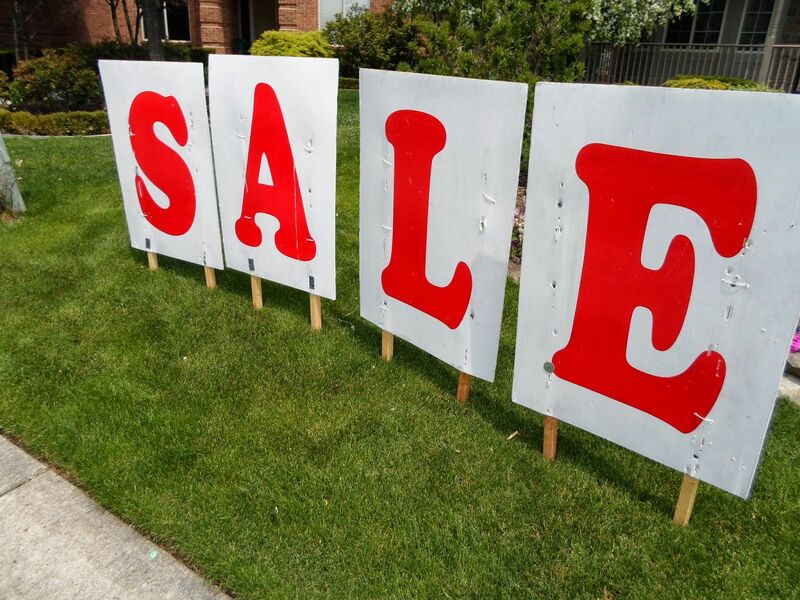 Show off your creativity with decorative signs announcing your sale! Holding a garage sale is a great way to meet new people. They might even be able to tell you the best spot to score your next deal! You might find that you have a new appreciation for those things, even as you watch them find new homes. Teaching kids to get rid of old toys will help them appreciate the ones they have. Having your kids help with adding up purchases and making change can help improve math skills. Needing the garage to sell your old things might finally motivate your hubby to clean it! 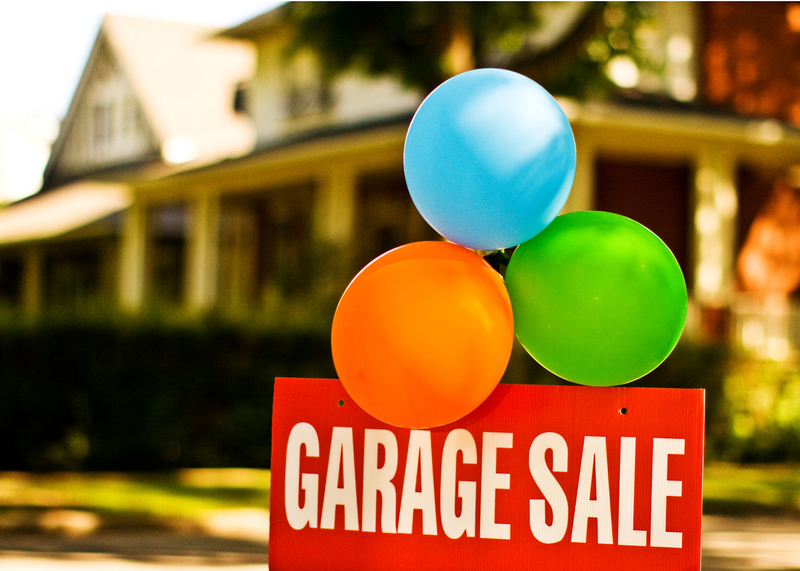 You can call your sale anything you like — there’s no law that says you must refer to it as a garage sale! 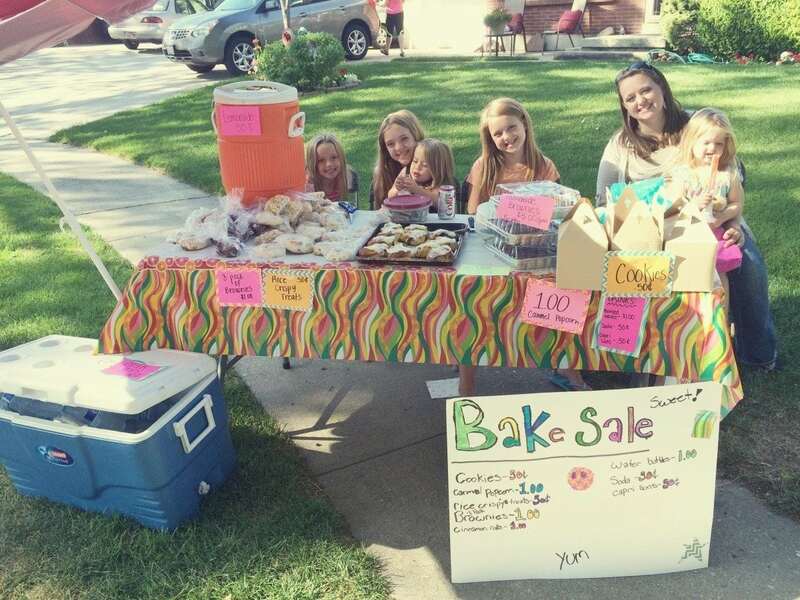 Plenty of planning goes into a garage sale — from when and where to hold your event to keeping in mind community events going on at the same time. Since the planning stage is so important and there’s so much to it, I’ve broken this down into subtopics to help you plan the best sale for you. What season is the best to hold an outdoor sale of any kind? What day of the week will get you the most customers, and thus, the most money? What time of the day? Are there advantages to holding a sale in the “off” season? Cabin fever is starting to get to people, and they’re looking for excuses to leave the house. Give them one! It gives you motivation to do spring cleaning for real. Just imagine all of that clutter raking in solid cash. The weather is definitely better. Just remember that “April showers bring May flowers” and be prepared for the possibility of rain. Summer means longer days, which could mean you find yourself out of merchandise after only one day! You’re more likely to sell “big ticket” items like furniture and electronics as college students look for the best deals for their dorm and classroom needs. Kids are out of school, so you’ll have a ready audience for old toys, games, and sports gear. The cooler months means people are more likely to spend time browsing and thus, might actually buy more! This is the perfect time to get rid of the old Halloween costumes and holiday decor. Parents are looking for back to school clothes or jackets for their kids. They will happily buy out your gently-used stock. There’s less competition. Since next to no one else will be hosting a sale, you may attract customers you wouldn’t otherwise. Christmas money! Need I say more? People will be looking for last-minute gifts, so time to bring out high-quality items that you no longer need or use. Because this time of year is so uncommon, and often quite cold, you may find that you need a gimmick to draw in customers. Advertise hot chocolate, apple cider, warm baked goods (no one will notice if it’s from the bakery down the street, I promise! ), and play up the idea of cheap holiday gifts. Offer gift wrapping, if your sale happens before the holidays. You can find wrapping paper at the dollar store. Now that we have established what time of year we should hold our sale, what day (or days) of the week would be best to hold it on? Typically, the weekends are favored for garage sales. This when you are likely off work and your customers will be, too. Statistics say that Saturday is the best day to hold your sale, since many folks attend church or other gatherings on Sundays. You could hold your sale from Friday to Sunday if you have enough merchandise, but expect Saturday to be your busiest day. Unless you live in an area that prohibits this (check with your homeowner’s association first! ), the best time to start your sale is 7 AM. Begin later at your own peril — I know in my area, a garage sale advertised at 8 AM will have customers lined up around the block by the time the homeowners are ready to start! Most yard sales are one-day or two-day affairs. Decide upfront if you are hosting a one-day or two-day sale, as you will need to advertise as such. If you advertise a one day sale and then realize you still have enough left to do a second day, you may find that you do not have the customers you did the day before due to your advertising. Most sales last for about five hours per day. Taking our advised 7 AM advised start time and the typical five-hour day, most sales will wrap up by 1 PM. Of course, you can choose to go later, but be aware that sales tend to slope off around lunch time and you may not see much business after that timeframe. Your neighbor’s garage — maybe they have stuff to sell and you can combine sales! Your car park, if you have one — typically, if you live in an apartment complex, you’ll need written permission to do this. Your local church — see if you can utilize their parking lot, hall, or other space for your sale. This is typically best for a multi-family sale or church benefit, but don’t hesitate to ask. Small furniture items — larger items will likely be more difficult to sell as most people will not have the vehicle space to move them. Books, especially children’s books — I know I personally am willing to drop a small fortune at your sale if you have classic or hard to find children’s books! Good quality jewelry, such as family heirlooms or engagement rings. Get those appraised and sell them on eBay or to a local dealer instead. Silverware, antiques, collectibles, and other paintings should also be appraised and sold to a dealer or on a reputable site instead. High-quality clothes — take those to a consignment shop, where you can get a better price and possible store credit to buy new clothes. Large furniture — as mentioned above, these may be harder to move. You may also get a better price for them from newspaper ads or online sale groups than you will at a garage sale. Illegal, unsafe, or recalled goods — common sense, really, but you’d be amazed what people try to sell. Toys that are broken, disfigured, etc. Half-melted Barbie should probably go in the trash. Clothing that is stained, ripped, or otherwise not in truly wearable condition. Games or puzzles that are missing more than a few pieces. Nothing is more frustrating than buying a 500-piece puzzle from a garage sale only to find that 80 of the pieces are missing! You want to get rid of as much of your stuff as you can, while also making the most money you can. To do this, you need to attract the most customers possible. So make sure your sale stands out from the rest! Make your advertising creative, large, and LOUD. We’ll discuss this in detail later. Sell snacks and drinks. Whether you do it or you allow your kids to do it, it’s sure to be a hit. Make your own price tags with paper, colorful string, and a hole punch. Play (tasteful!) music loud enough for shoppers to hear, but not loud enough to be a bother to the rest of the neighborhood. Use checkered tablecloths or other decorative things to draw attention to certain tables. The cornerstone of all sales: advertisement! No one can show up to an event they don’t know about, so make your advertising stand out. Use a headline to catch attention. Make it larger print, bold, even a different color if you can. Include photos on your ads if possible. Designate a sign twirler. Have your kids, hubby, friends, or even yourself if you don’t need to man the cash box dress up in an eye-catching costume and hold a sign on the curb. Make use of online advertisements, from Craigslist to Facebook groups. Make sure to list your address, hours, and any other pertinent information in noticeable positions on all ads. You’ve picked a day and a time. You’ve sorted out everything you’re going to sell, and you have settled on a way to make your sale stand out. You’ve got advertising under control. What else could you possibly need? Quite a bit, it turns out. Fanny pack, apron with pockets, or cash box of some kind to carry money around in. A calculator or a fully charged phone with calculator app ready to go. Notebook and pen for keeping track of sales. If you use stickers for price tags, you can also put those on paper as things sell, as well. This is especially helpful for multi-family sales. Card tables to hold your sale items. Extension cord so customers can test electronics. A mirror for customers buying clothes. Packing supplies such as boxes, packing tape, and old newspapers to help carry multiple items or cushion breakable items once sold. 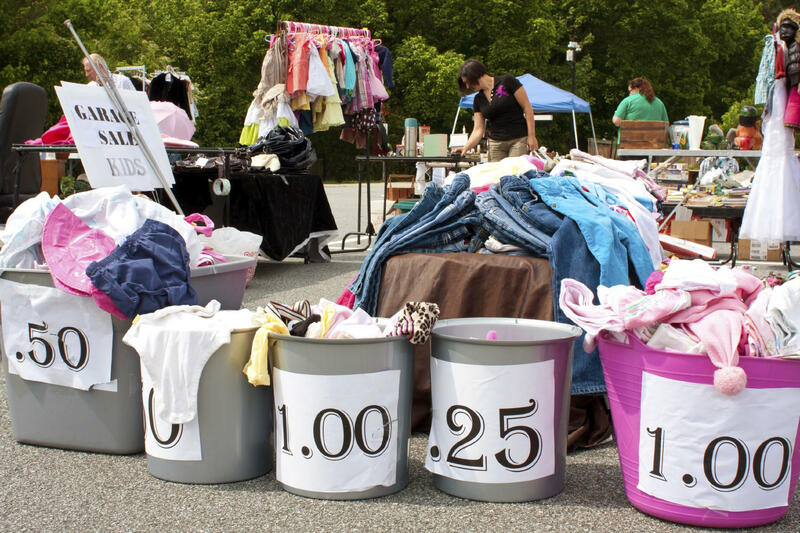 A staple of garage sales, clothes can often be the most difficult thing to price. Sell baby clothes for $1 to $3 for gently used, or $0.25 to $0.50 for items that are more well-worn. Children’s clothes should also go for $1 to $3 for gently used or less than $1 for well-worn. Adult clothing can go for $3 to $5 per item, depending on the amount of wear. Coats are best listed between $10 and $15, so long as they are gently used. More careworn or out-of-style coats should go for between $5 and $10. Shoes in good condition can go for between $5 and $7. Try shining dress shoes and cleaning tennis shoes before selling them to make them look their best and to get the most for them. As I said a while back, don’t sell your grandmother’s diamond earrings at a garage sale. Costume jewelry or similar should be sold for between 50 cents and $2. Hardcover books price best at $1, while paperback books are best sold for between 25 and 50 cents. If you have a set of books, consider offering a discount. For example, if you have a book series of 5 books, offer the set for between $2 and $4. Cassettes, whether they are music or VHS, will not go for more than $1, as most people do not have the necessary equipment to use them anymore. Records can be sold for $2, although you’d be best advised to take them to a dealer for appraisal and possible sale there first. Ensure that they work, first. Next, look up the retail value of each item. Any used items should be priced at a third of their original value. Items unused and still in their original packaging should be priced at no more than half their original value. Toys, games, and puzzles in decent condition with most, if not all, their pieces can be sold for between $1 and $3; rarer or harder to find items can possibly go for as much as $5. Consider making a “free box” of stuffed animals, old kids’ meal toys, and various other odds and ends for children who come with their parents. As stated previously, it is not recommended to sell larger items such as beds and couches. That said, should you choose to, follow the same rule of thumb as you did with electronics: a third of the original value for gently used furniture, and half the value for items in “like new” condition or that still have their tags on them. Tupperware, cooking utensils, pots and pans, and various dishes can be sold for between 50 cents and $3. If you’re selling a complete set, you may ask for more, but be prepared for some haggling with determined customers! You’ve got everything priced, and now you’re ready to set up! But, how? Hide items that are not for sale. Find unique “props” to hold your items. Use tarps or thick blankets to protect any items on the ground from morning dew. Group items by “theme” to make your sale more organized. Keep as much as you can outside the garage — many people feel uncomfortable “invading” a stranger’s space, even when they’re invited. Make sure everything is in easy view of customers; if it can’t be seen, it won’t be bought. Problems tend to crop up even for the well-planned events. Here are some tips to help avoid problems for your sale as much as possible. Avoid “early birds” by advertising that you will charge them double. Don’t let anyone inside your home — an unassuming person may ask to use your bathroom and return later to rob your house. If a price on certain items is non-negotiable, make sure you advertise it as such. Your sale is over, but you still have merchandise left. What to do, what to do? Try again! Hold another sale in a few weeks. Donate books to a local library or doctor’s office. Contact local charities to see if they will pick up leftover items. Upcycle it! Check out the rest of our blog for ideas on turning your old junk into something new if you can’t sell it! 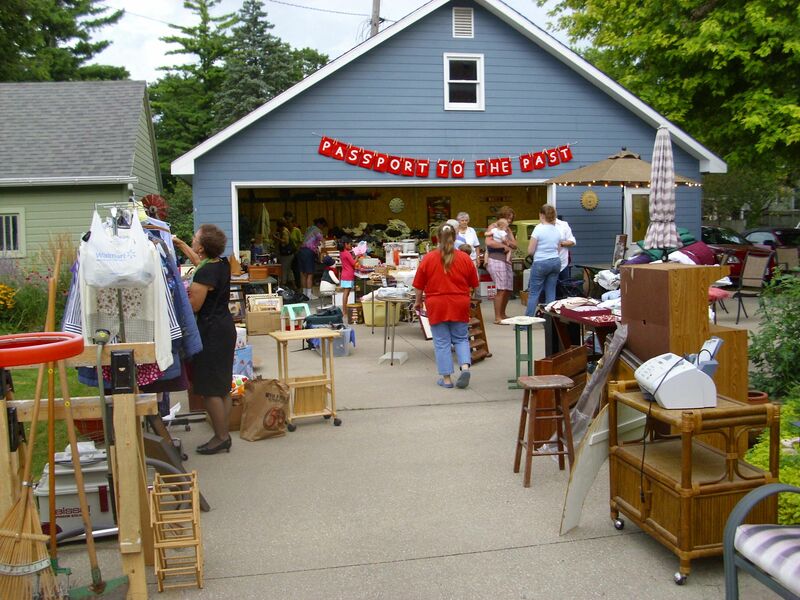 Whatever your reason for holding a garage sale, I hope this guide helps make it a profitable, fun, and safe endeavor. Did you enjoy our guide? Do you have any tips we didn’t list here? Let us know in the comments, and don’t forget to share! The Garage Sale Queen Strikes Again!